Stunning City & Mountain Views! 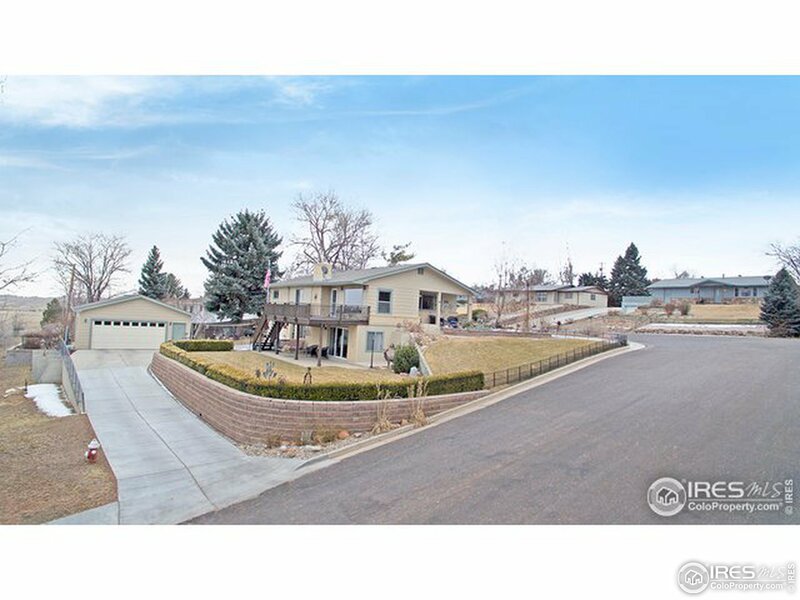 This competitively priced, serene/beautiful ranch style home is in a prime southwest location perfect for commuters from Boulder, Larimer or Weld Counties. Boasting of a finished walkout basement w/ kitchenette, you'll love the 5-Car Parking (2 attached, 2 detached + a carport), beautiful views from large living room & deck, kitchen w/ granite & island, wood floors, pristine landscaping, new $20K in concrete drives, lg west facing deck, & a near 1/3 acre lot!